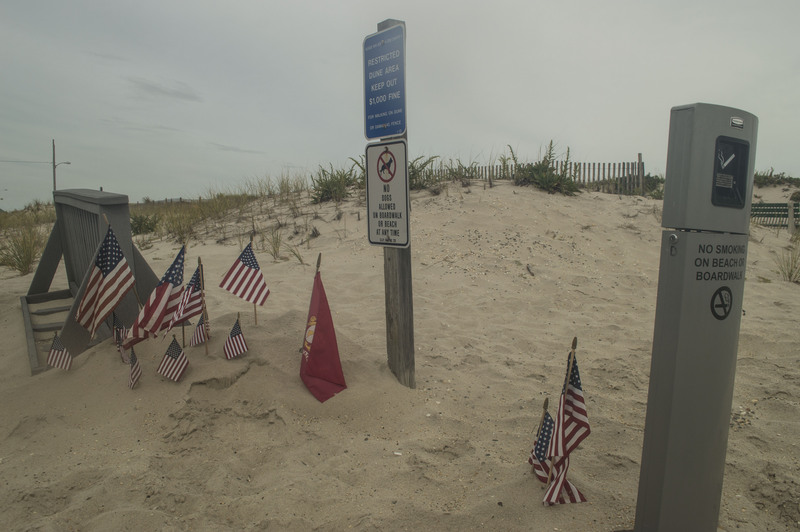 In Seaside Park, the site of a terrorist bombing has become an ode to American patriotism. 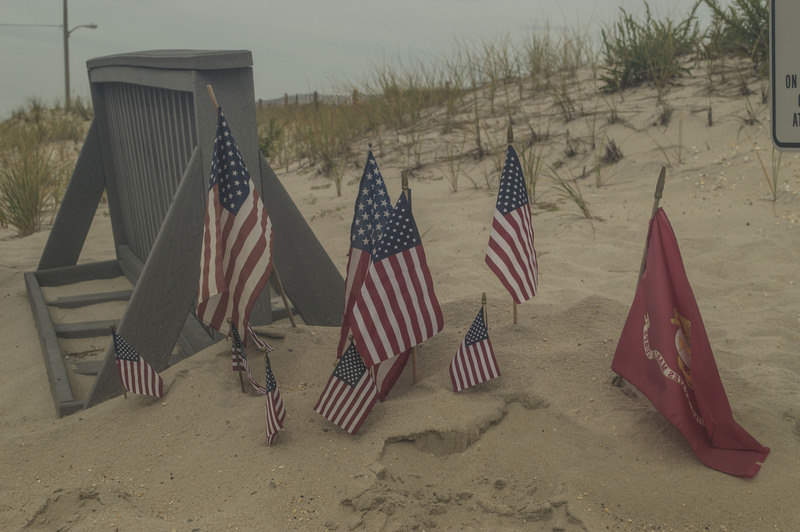 As soon as law enforcement reopened the area around D Street and the boardwalk, local residents began placing American flags at the site. 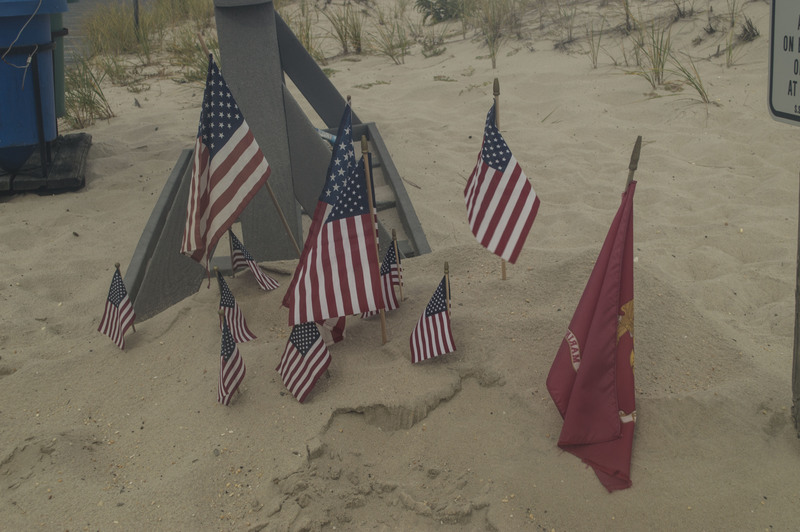 The flags went up despite a rainy, windy Monday, and now remain at the site. Ahmad Khan Rahami, a 28-year-old Afghan man who is now an American citizen, is suspected of being behind the bomb plot, as well as a similar detonation in the Chelsea neighborhood in Manhattan. A resident of Elizabeth, he was captured Monday after a shootout with police in Linden.